year playing in the dirt. 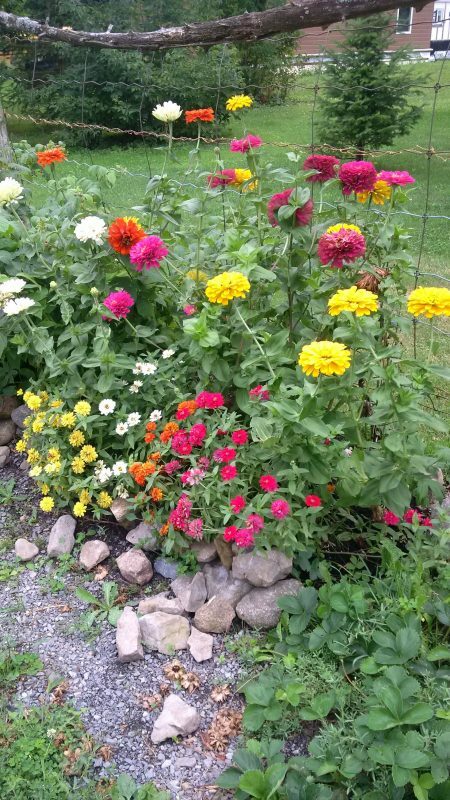 It all started with a small herb garden one year at a friend’s cottage in the Kawarthas. The next year, the lavender all came back, with the chives, and the mint. This is where I learned that mint cannot be trusted to stay where you plant it. I learned about its growth habits by digging up the soil all around the plant and finding the “runners” (pipe-like roots that grow outwards and aim to spark many, many plants, per runner!). I won’t lie, it was kinda neat to follow them all and discover their tendencies. The next year I took on heritage tomatoes. 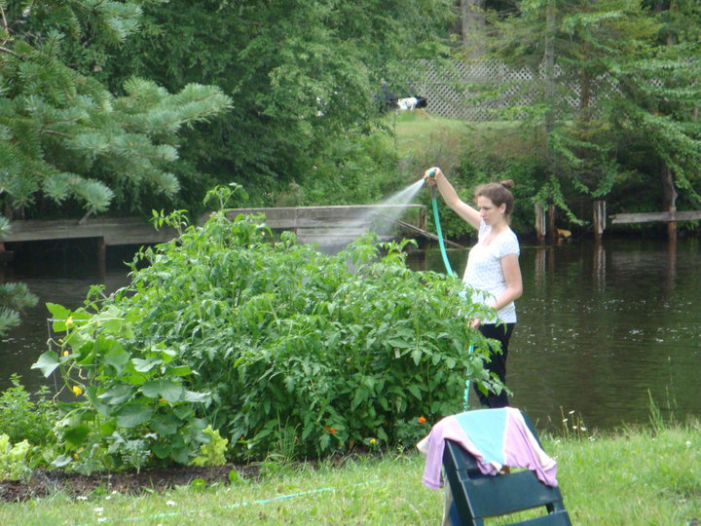 Everyone living around my friend’s cottage were seasoned gardeners and took notice of my tomatoes especially that year! While everyone’s were a piddly 4 or so feet, mine were an abundant 6+ feet tall! All 12 plants! I truly didn’t know what I did – no fertiliser at all, but I did mine some amazing soil from the swamp down the road and that is when it dawned on me, and even now I am reminded, soil is everything. Everything everything. The neighbours’ respect still makes me smile. A happy accident. Just like anything successful in life, a strong foundation makes all the difference. Fundamentals are the foundation of fun, and I believe that be true. Ballerinas especially know this to be true. Anyway, the tomato plants were amazingly abundant! And they weren’t even in “full” sun- I think by 2pm they were in full shade, however, it seemed that’s all they needed! Could you imagine if they had full sun? They might’ve gone to 12 feet tall! Each one has definitely been a lesson, but to me, these are lessons worth learning. There is nothing like having a quiet moment in beautiful surroundings where the smells intoxicate your soul and remind your mind of the magics of life. When you look in on a garden and see the microcosms of life, every little being fulfilling its life’s mission, and be reminded that that is what we are here for, too. The symbiosis of life. This year I haven’t ordered as much as past years, but I do have a rose order in! I have gotten extremely great stock from Hortico the past 2 years. 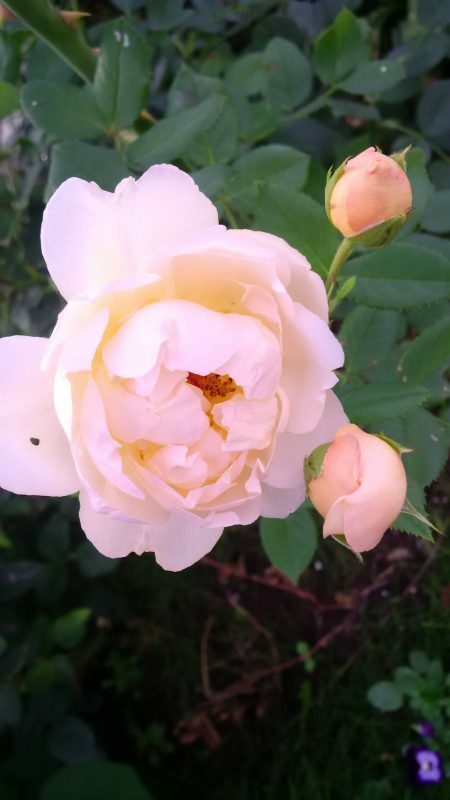 This year I planned to order from another western Ontario nursery, alas, “my” rose had sold out… My consolation was finding it in N.B.. And yes, my order is definitely in! One cannot just order “1” rose- oh no! That would never do! One must order at least 3 of such an exceptional species, and then “friends” to place around the special ladies, like ladies-in-waiting! So, I have 6 bare root roses arriving sometime in May! The more the merrier! I went with 2 different species of old English roses that should easily survive our weather. I swear I can smell them now! One of the species is actually a replacement of my first rose, a type from the 1400’s- Maiden’s Blush. Such a lovely flower and smell! Last year and the year before I have been branching out into the “cut flower” section of gardening, things that look amazing in vases; and can I say, asters were my surprise favourite! They bloomed when near everything else was finished and the colours were so happy! The textures were varied, but all very approachable and soft, and it gave me great pleasure to share vases of them with my friends. 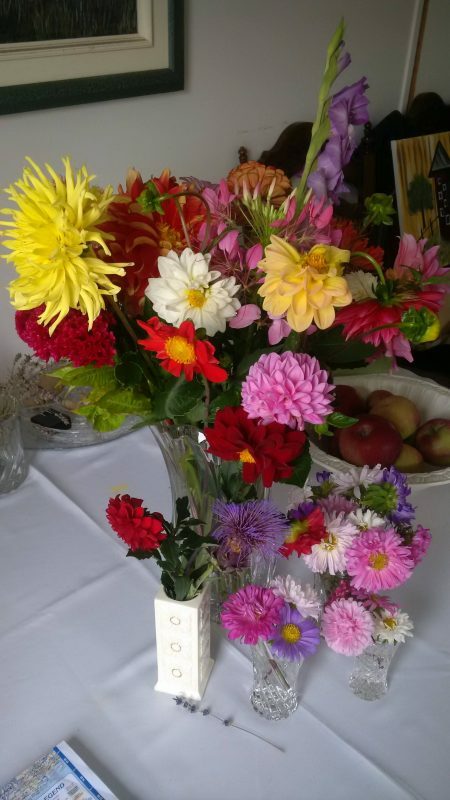 I was the recipient of a HUGE bouquet from a friend’s garden near the end of the season, and for near 2 weeks we had this amazingly gorgeous flower feature in our home. I want to give that gift to others. Asters, zinnias, cosmos, foxgloves, delphineums, penstemons, basically a cacophony of colour! Last year I replaced some dead roses- can I blame it on the winter? I would like that…. But, deep down I know it is because I unknowingly planted next to a buried dump pile on our property- not the first one I have unearthed, or even the 5th one- there are many on this old farm lot…. I dug a huge circumference around the area, extracted all the buried junk- mainly metal, and started over again. Where the dead roses are out (there were a few), now is planted a beautiful specimen of white magnolia, a couple of white azaleas, a beautiful forsythia, a weigela, and some cone flowers for good measure. One coneflower is white, the other is this burnt orange. This garden is now an all season blooming garden, so I guess the dead roses aren’t so bad; they made room for improvement. And there is always room for improvement. get. Truly inspires the soul to other heavenly things. Garden Girl of St. Andrew’s West, On. Discussion: Where have you ordered plants from and would you do it again? Editor’s Note – If you wish to sponsor Garden Girl’s column please email info@cornwallfreenews.com or dial 855 444 1133. Mmmm… lavender (just ruffle with your hands and smell), rosemary (adds flavour and scent to pork, rice, even salmon), thyme (between walkway stones is sweet aroma at every step). But mint, the rascally sneak, needs an enclosure that goes at least a foot and a half into the ground; a short piece of good wide pvc sewer/water pipe found around new subdivisions or streetworks is perfect.